Tickets are on sale now for this years’ Ladies Day event, happening Saturday, April 18! You can pick up your tickets at one of five locations. Beatnik Betty’s Resale Butik in downtown Appleton is a fun resale store, where it’s all about being creative and defining your own personal trend. Storeowner Monika, a regular participant in Ladies Day Downtown, loves the awesome vibe downtown has, where everyone gets together with friends to have fun and shop! Don’t miss out on your chance to partake and pick up your tickets at Beatnik Betty’s today! Just $15 and includes fashion show, coffee bar, light pastries as well as a swag bag with specials, coupons, offers and more! 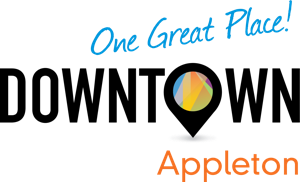 Unique items and gifts for the body, mind and spirit. Everything from Angels to Zen! 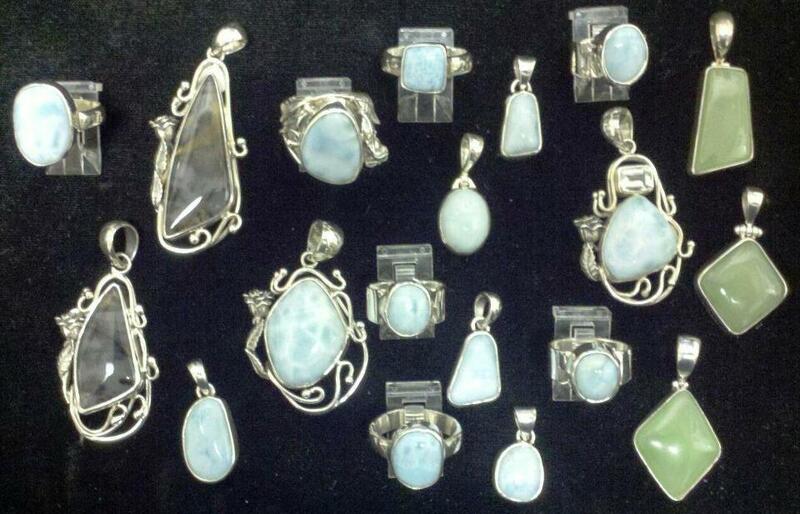 Featuring the midwest’s largest selection of sterling silver jewelry and gemstones from around the world. A rare find awaits with angels, crystals, books, music, tarot, candles, incense, aromatherapy, statues, mystical creatures, and Native American and Eastern artifacts. Private psychic readings. Open 7 days a week. The standout jewelry trends spotted on the 2015 Spring Collection runways in New York, Paris, London and Milan indicate that “more is more” with varying sizes, unique shapes and colorful jewels. Trending necklaces seem to be either very long or very short. The pendant necklace is coming out swinging suspended on very long chain and emphasizing large single gemstones. Chokers range in style from thick layers of gemstones for a collar type look or single strands of beads for a daintier look. TRENDVISION, an independent observatory and research department helping jewelers identify and market jewelry trends identified asymmetrical patterning as the new hot jewelry design. 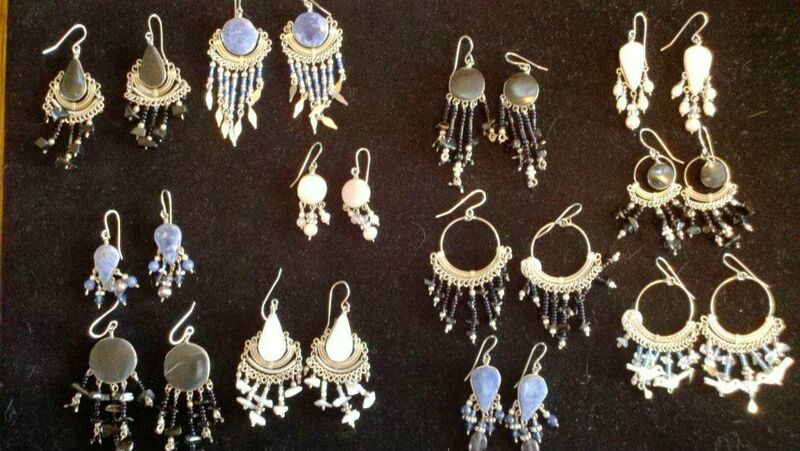 Earring styles feature an unbalanced look with a single earring or two different colors, lengths, shapes or sizes. This edgy geometric trend focuses on interesting metallic and gemstone shapes and carries over to rings, bracelets and pendants. This February, at the Tucson, Arizona Gem and Mineral Show (the Super Bowl of trade shows for gemstones) blue sapphire, aquamarine, chalcedony, opal, lapis, amber, and the standout of the show – turquoise – were prominent. 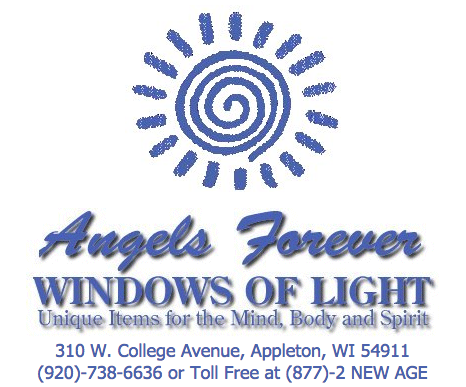 Angels Forever – Windows of Light’s offers for ticket holders: We will have models with the latest trending jewelry styles at the Fashion Show. In the swag bag we will have FREE incense and a coupon to pick up a FREE incense burner. Our store offer will be 20% off all merchandise and FREE chocolates. Participants can also register to win a $75 gift certificate. All ladies will receive a FREE flower and coupon offers compliments of Charles the Florist and Angels Forever – Windows of Light. Handmade goodness by Dainty Daisies. 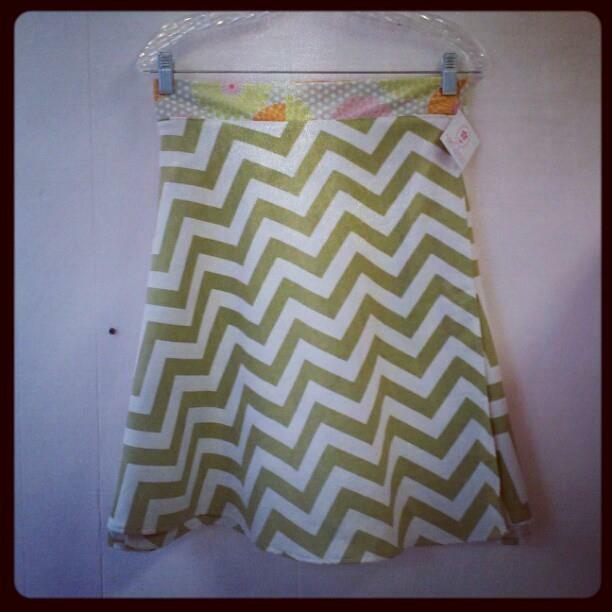 Check out this new Fall wrap (including chevron) skirts, Rosie headbands & wool felt brooch/hair clips! 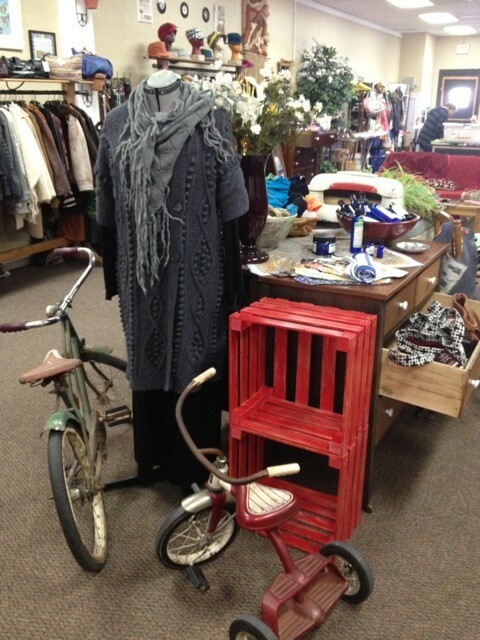 Beatnik Betty’s offers resale clothing for both men & women. There everchanging inventory includes designer labels, vintage, jeans, leather, current basics & brand new merchandise. Are you feeling creative? 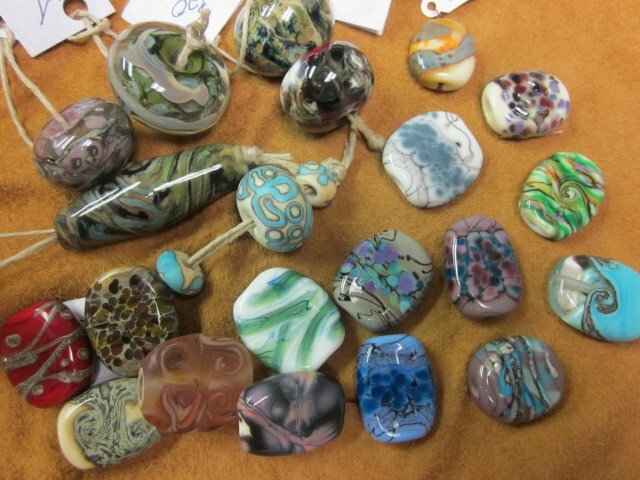 Studio 213 has beautiful beads made by Katya Topolkaraeva and Jane Buelow that would make some beautiful pieces of jewelry. The recent Bring Your Girlfriends Downtown event brought out the spring fashions to the runway at the Radisson. Genelle from Globally Sound Fair Trade modeled some of their fair trade fashions for spring 2012. Click on any of the photos to see them as a larger slideshow. Warrior I – Genelle is featuring an organic cotton top with organic cotton leggings – both available in many colors. Her Om necklace gets her in the right frame of mind for class. Genelle’s also featuring a necklace & earring made from tagua, the alternative to ivory.The necklace is versatile. 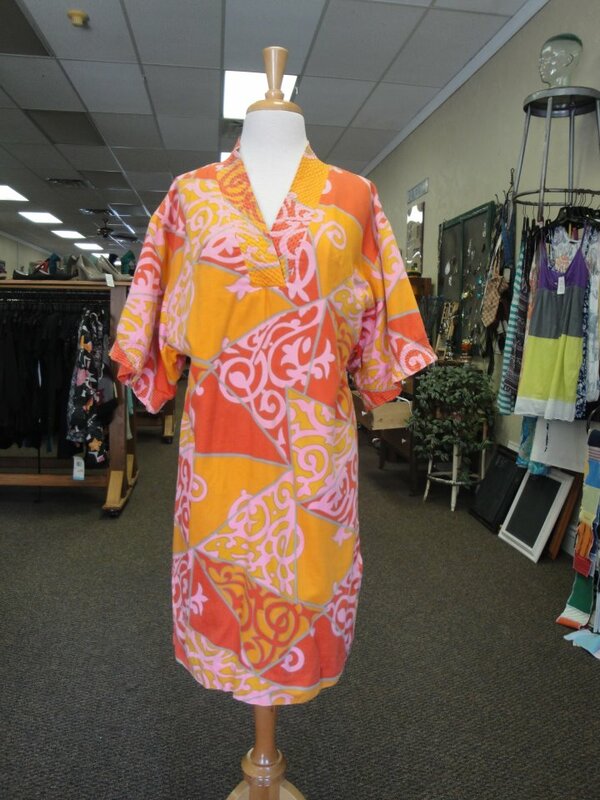 Genelle is featuring a 100% Cotton Dress. Genelle’s bracelet is handcrafted by artisans who specialize in mosaic inlay crafts.The purse is made from finely cut bamboo strips, which takes nearly 60 days to complete. Ophelia was born & raised in the jungle region of Ecuador. She’s a mother of three who provides jobs in her artist workshop to women in the jungle region. Her yoga mat bag is made from recycled silk and she is carrying a Jade yoga mat. 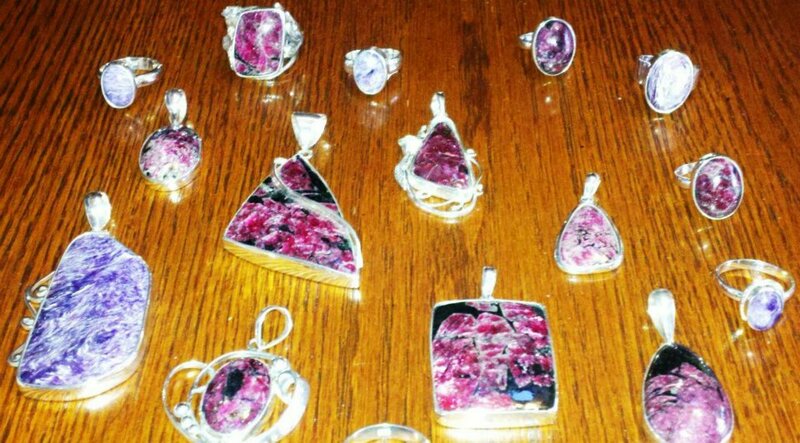 See these fashions at 604 W. College Ave.
Angels Forever / Windows of Light has some beautiful new rare finds that have recently arrived in their store at 310 W. College Ave.
Eudalite and Charoite from Russia! 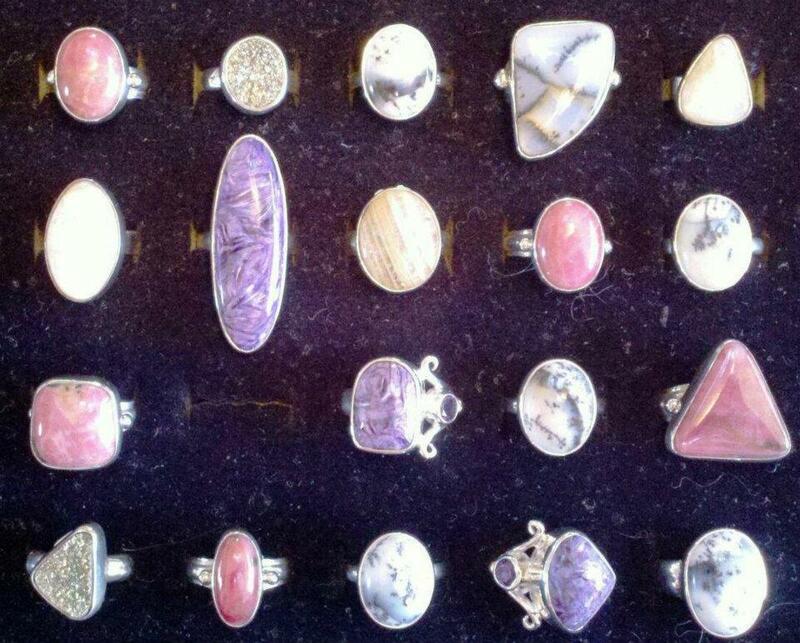 Charoite, Dendritic Agate and Rhodonite Rings!